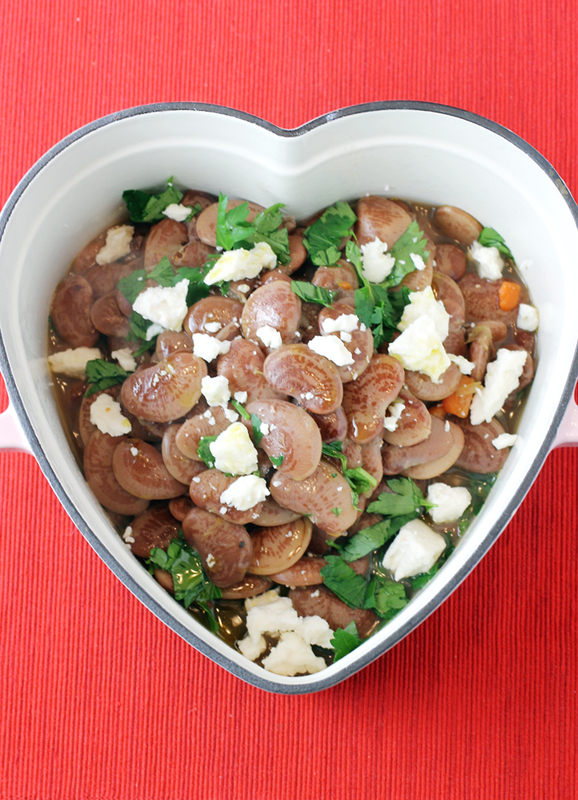 Alubia Blanca are small, white Spanish-style beans that cook up creamy while still holding their shape. As such, they’re ideal in salads, soups and stews. 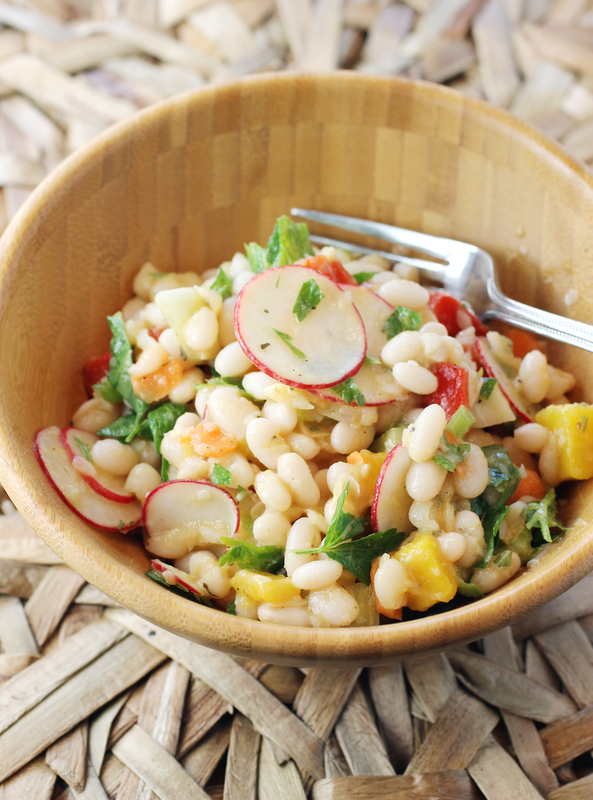 This bean salad is as easy as it gets. 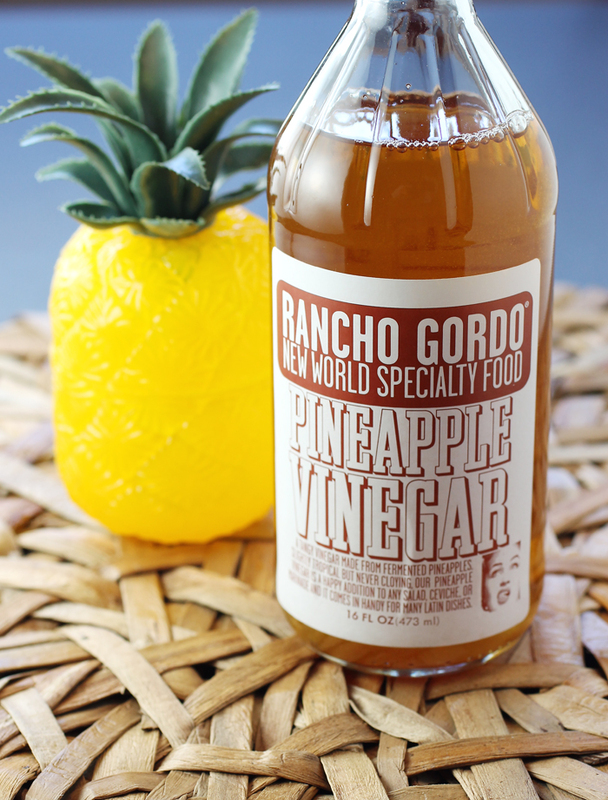 The vinaigrette is not made with fresh pineapple, but with pineapple vinegar, which Rancho Gordo also makes. It doesn’t have a strong pineapple taste, but a more subtle tropical fermented tang. It would be great in ceviche or in a shrub garnished with a caramelized pineapple wedge. Pineapple vinegar to lend a bright note to so many things. The vinaigrette gets a piquant note from Dijon mustard and earthy herbaceousness from dried oregano. The beans get tossed with that, along with shaved raw carrot, roasted red pepper, radishes and celery. I also added a little chopped parsley because I had some on hand. It makes for a great side dish to almost anything. And it’s sure to give you new appreciation for the humble bean. In a salad bowl, make a paste with the garlic and salt by mashing together. Add mustard, oregano, and pineapple vinegar; mix well. Slowly whisk in the olive oil. Shave the carrot into razor-thin slices using a mandoline or vegetable peeler. Add the beans, roasted red pepper, radishes, celery, carrot slices, and parsley, if using, to the vinaigrette; toss together gently. Season with salt and pepper. Serve slightly chilled or at room temperature. Note: For 1 1/2 cup cooked beans, you’ll need to start with about 1/2 cup dried beans. Soak them in a bowl or pot of water either overnight or in the morning for a few hours, covering them by at least an inch. In a saute pan over medium heat, add a little olive oil, then a mix of diced onion, celery and carrot, along with a crushed garlic clove if you like. Next, add the soaked beans to a large saucepan either with their soaking water or drain them and add fresh water, covering by a couple of inches. Add the sauteed vegetables and stir. Bring to a boil on medium-high heat; let cook on a boil for about 5 to 10 minutes, then turn down the heat to a simmer. Place the lid on the pot ajar, and cook until beans are tender. Season with salt. Thanks for this! I’m so flattered you like it. And the cool thing about the vinegar, it’s not white wine flavored with pineapple. It’s literally fermented pineapples, which is rare but delicious. Hi Steve. I am in the beanclub and have FLAGEOLET beans I have not cooked but am wondering if I can use them in this salad in place of the Alubia? 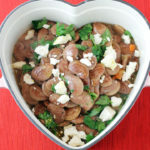 I am making this for a luncheon this weekend. P.S. To my comment above: I very fortunately do have your lovely Rancho Gordo Pineapple Vinegar and love it! Roseanne: I checked with Steve Sando and he says that you can definitely substitute flageolets for the alubia blanca beans, which are creamier. Enjoy! Beans can have marvelous flavor! They’re a bit like tofu — the supporting seasonings in a dish are really important. This is flavored so nicely! Really a good dish. 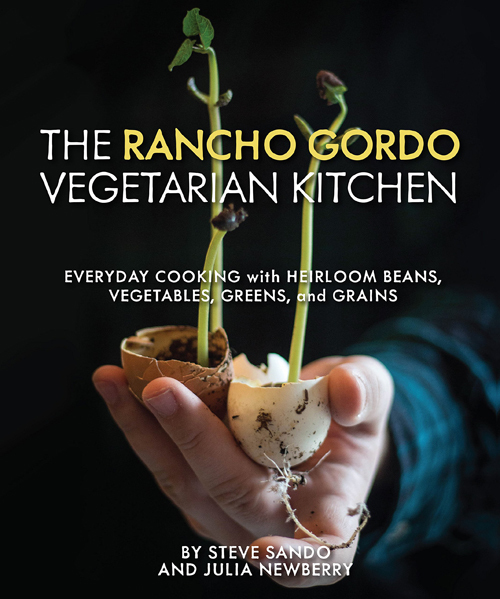 And I haven’t tried Rancho Gordo beans — not that easy to find in my neck of the woods. I need to get some — they sound terrific. Fun read — thanks.